“Live” is quite a nifty little collection. Apart from 'Gadda', the band does three numbers from Ball, two of which are among the better ones ('In The Time Of Our Lives' and 'Soul Experience') and one is tolerable ('Filled With Fear'); an energetic take on 'Are You Happy' which is almost superior to the original; and only one completely unnecessary number - the forgettable cover of 'You Can't Win' from their debut album. 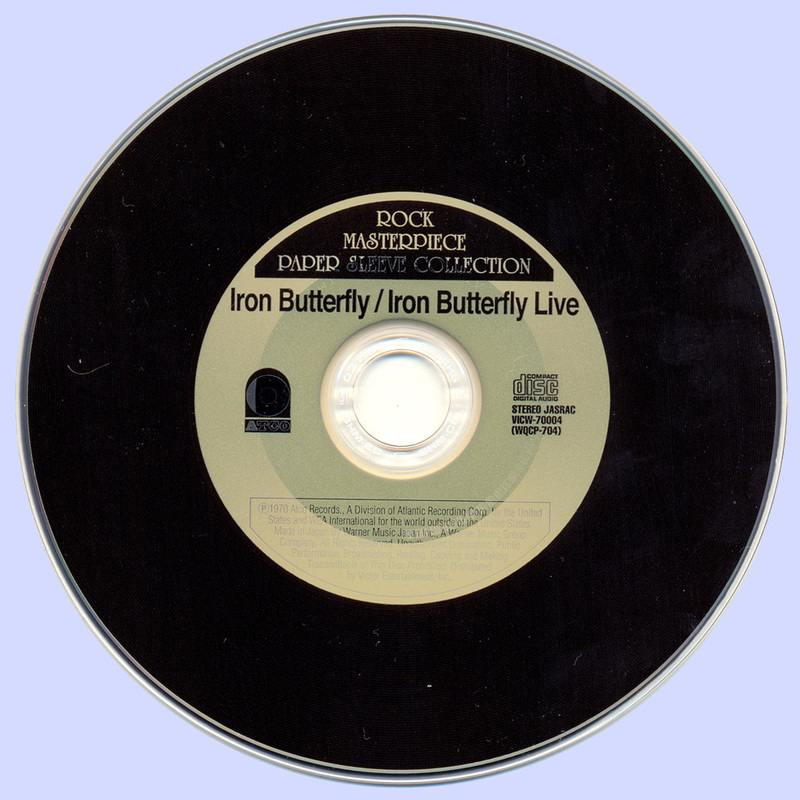 Aw, why not 'Iron Butterfly Theme' instead? Or at least, gimme 'Flowers And Beads'. Why not 'Flowers And Beads'? I've been thinking that the band was already distancing itself from the hippie thematics, but just one look at the album cover is enough to prove me otherwise, so I simply don't understand why they didn't put 'Flowers And Beads' on here instead of 'You Can't Win'. Does 'You Can't Win' actually deserve to be dedicated 'to all those people who can't be with us this evening'? 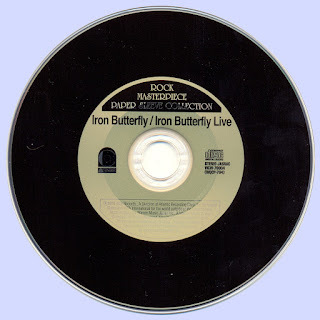 The songs are played pretty much by the book, with only minor variations - Erik plays somewhat more energetically on 'Filled With Fear' than he did on the studio version, and actually, the album is somewhat more heavy on guitar than all the previous studio efforts: if you compare the live version of 'Are You Happy' with the studio one, for instance, you'll see that the role of Massa Riffman is relegated to Ingle, and Erik just fiddles around with distorted lead lines, making the track more messy and chaotic, but also more testosterone-drenched - just the kind of stuff you need for a concert. Doug Ingle, is the main star, of course, overemoting on every track with those cool 'angry Jupiter' intonations of his, plus he throws in a couple more 'whoa-whoa's and terrifying grunts along the way. 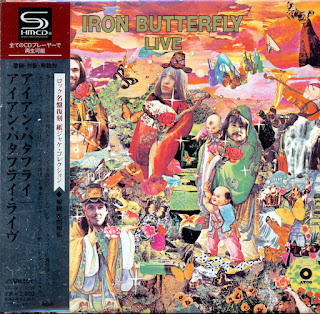 A solid live album it is, just don't go off expecting anything spectacular, cause - hint hint - find it you'll not. 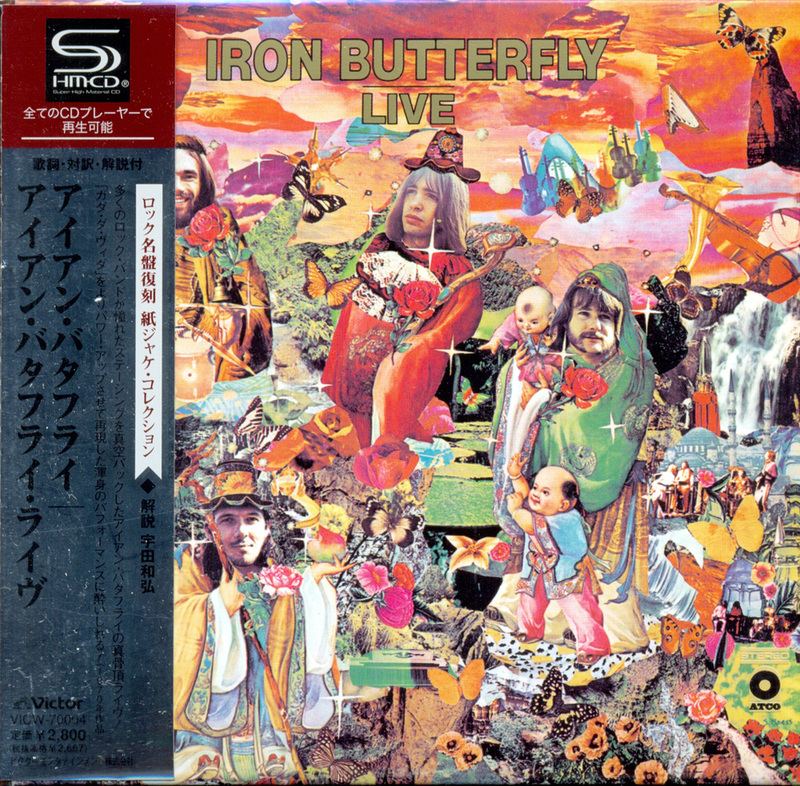 I'm not the excessive kind of guy myself, yet I do wish they'd released a double album, including 'Iron Butterfly Theme', 'Flowers And Beads', 'Get Out My Life Woman', 'Real Fright', and 'Most Anything You Want' - provided, of course, that they actually played all, or any, of these songs live at the time.